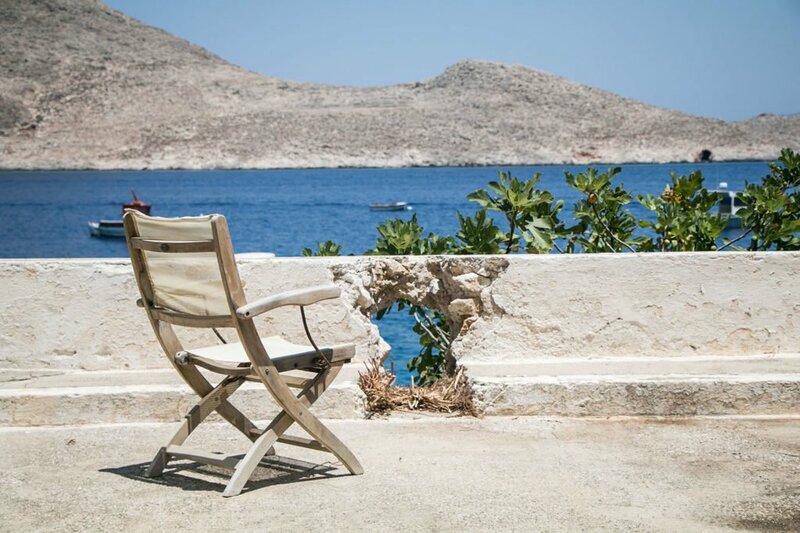 There’s only one pace of life on Halki – and it’s positively laid-back. The moment you step off the ferry, you’ll feel the stresses of your everyday life slip away. With few vehicles on the island, your days are free to wander around the flower-lined alleyways, slip into the silky-smooth harbour waters, chill out and watch the world go by in a taverna, or stroll to a nearby beach, free from exhaust fumes and people rushing around. UNESCO had it spot on when they named Halki, ‘the Island of Peace and Friendship’. The story that perhaps best sums up the essence of Halki is that of the silent clock tower. Located next to the Town Hall, the bells of this clock tower once chimed noisily every 15 minutes, to the dismay of locals and visitors alike. So the islanders made a collective decision to stop the clock, restoring peace to this chilled-out village. Who needs to know the time here anyway? The Greek diet is notoriously healthy and delicious, but Halki has a few specials up its sleeve that has our guests licking their lips in anticipation of a visit. Top of the list is the famous Halki pasta served with caramelised onions and cheese. Seafood is rightly popular – and it couldn’t get much fresher – with Halki shrimps a firm favourite amongst locals and visitors alike. Whatever you eat, ensure you leave room for some thick creamy Greek yoghurt drizzled with local thyme honey. Yum! Greece is one of the most beautiful countries in the world and, while we might be a little biased, we think Emborio is one of the most beautiful villages in the country. With elegantly restored villas bathed in warm Mediterranean colours, alleyways lined with shocking pink bougainvillea, and fishing boats bobbing in crystal-clear waters, there’s a picture waiting to be snapped wherever you look – even the tumbledown houses have a certain charm. 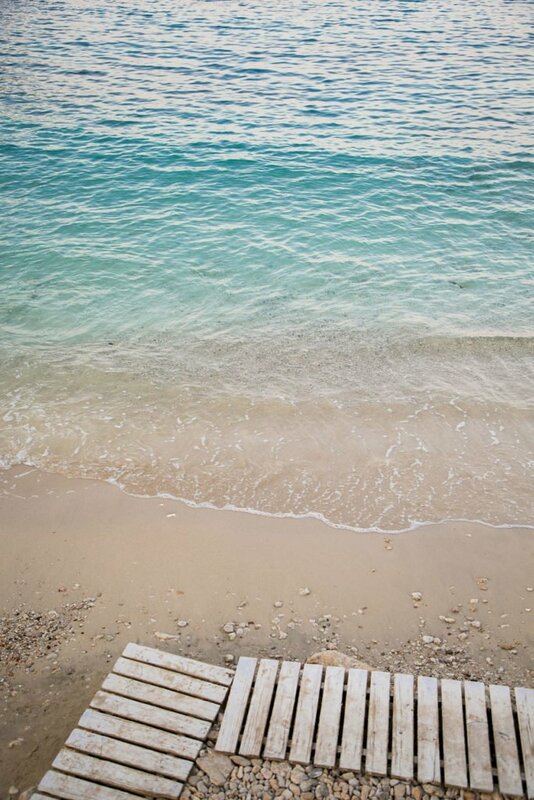 While Halki may not offer long, sweeping stretches of sandy beaches like some Greek islands, the beaches here are full of character. The rocky shoreline makes for crystal-clear waters, great for swimming and snorkelling, while the lack of roads on the islands means the only sounds you’ll hear are the gentle lapping of waves against the shore and the tinkling of distant goat bells. Relaxation personified! The blue-roofed Monastery of St John sits in a shaded courtyard surrounded by simple white monk’s cells on the opposite side of the island to Emborio. Filled with intricate carvings and beautiful icons, this is a sacred spot in a stunning location. A minibus can take you over or you can opt to walk one or both ways. For a truly magical experience, spend a night in one of the monk’s cells and wake to the sound of birdsong and goat bells. Keen walkers love visiting Halki in the spring and autumn, when you can explore the island’s rocky paths without the fierce heat of summer. The interior of Halki has a stark beauty, dotted with tiny white chapels, groves of olive and fig trees, beehives, and hundreds of shaggy goats. But perhaps the real reward are the breathtaking views that greet you from some of the island’s highest points, such as the crusader castle, Kastro, and craggy Mount Maistros, which forms the backdrop to Emborio. These are just seven ways in which delightful Halki will steal your heart. If you’re one of our regular Halki visitors, can you add anything to our list? What is it about Halki that draws you back time and time again? To find out more about Halki, see our Ultimate Guide to Halki or look at our Halki accommodation. To book your holiday to Halki, contact Nissia Holidays on 01455 289421 or email us: info@nissiaholidays.com. Many thanks for your comment, we will follow up with details in your e-mail. Let us know when you receive it!